Customer inherited her Mother's furniture. It reminded her of growing up with her mom and sitting with her at the vanity. She wanted to restore it so she could sit at it every day and remember her Mom raising her. She selected colors using photo shop and sent us the images. We repaired all the damaged pieces, lacquered the wood and hardware, and completed a matching bench. 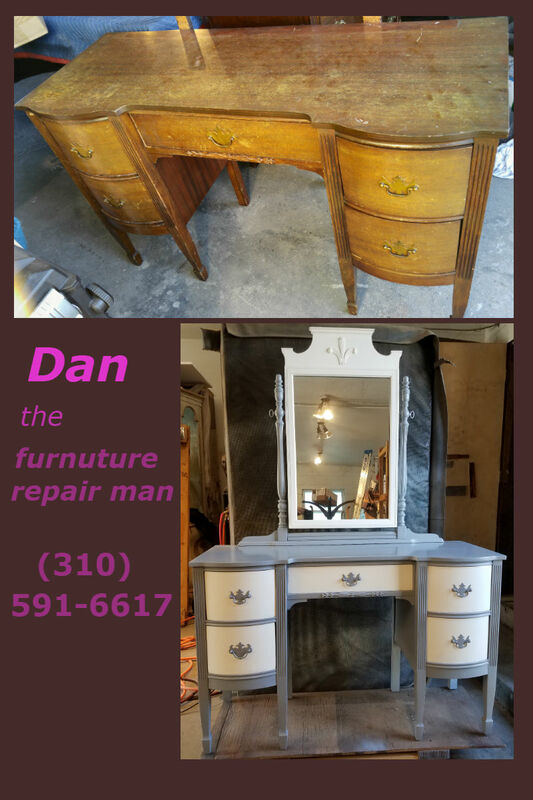 If you are looking for Antique Furniture Restoration in Long Beach, CA then please call 310-591-6617 or complete our online request form.